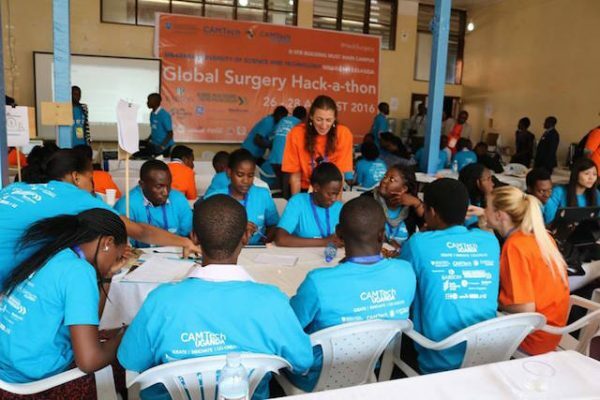 During the weekend-long CAMTech UGANDA Global Surgery Hack-a-thon (August 26-28, 2016), clinicians, engineers, entrepreneurs, students and designers spent 48 hours developing innovative medical technologies to improve surgical care in resource-limited settings. 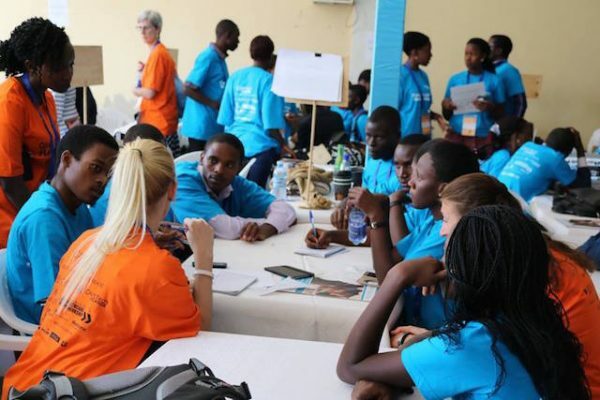 More than 250 participants from over 30 universities and organizations from across Africa, North America and Asia convened at Mbarara University of Science and Technology (MUST) to collaborate with experts and create innovations with the potential to shift the global surgical paradigm for patients around the world. 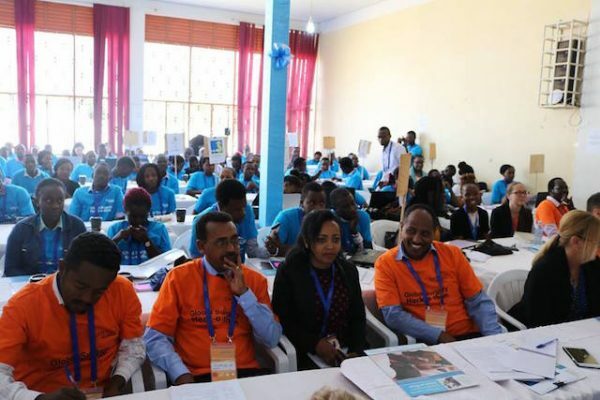 A total of 36 teams presented novel solutions to address critical challenges, including minimally-invasive locators to facilitate IUD removal, locally-produced stabilizing splints for fractures, mobile online safe surgery checklists, and single-use protective wraps to encourage use of helmets on motorbike taxis. Click here to read the full event report! Issuing of order/time slots and stations for first round of judging, to a panel of judges organized around innovation themes. Click here for the full event program! These clinical challenges were sourced from our network of healthcare experts specializing in surgical care around the world. Participants are welcome to work beyond what is listed below! • The First Delay — the delay in seeking care—occurs when patients often wait to seek health care because of financial and geographic restrictions, cultural beliefs, poor education, a history of being disconnected from formal health systems, and low awareness of available services or lack of awareness of available services or low confidence in those services. • The Second Delay — the delay in reaching care—occurs when hospitals with surgical capacity are scarce, meaning the nearest facility can be hours to days away, and depend on varying modes of transportation. • The Third Delay — the delay in receiving care—occurs when attendance at a hospital does not guarantee treatment, since few first-level hospitals can provide comprehensive emergent operative care. In addition, resources that do exist may not be mobilized in a timely manner. How will the innovative product and/or service that your team creates address one or more of these three delays? How does addressing this delay improve the overall service and business of the healthcare organization that may employ your innovation? Improving Medical Equipment in LMICs submitted by Safe Surgery 2020 How might we increase surgical volume at district-level hospitals by reducing the number of cases that must be referred or cancelled due to out-of-service medical equipment? At any given time, an estimated 40% of medical equipment in hospitals in low- and middle-income countries is out of service – compared to less than 1% in high-income countries. When a critical piece of equipment, like an X-ray or ultrasound machine, is down, surgical teams are often forced to refer emergency and essential surgical procedures until the equipment is back up and running – sometimes weeks, or even months. Teams tackling this challenge at the Global Surgery Hack can design their solutions around a number of root causes including accessibility of appropriate spare parts and accessories, availability of context-appropriate medical equipment on the market, access to training resources including appropriate manuals, lack of test equipment, and supply chain management, with an emphasis on creating sustainable models. We prefer teams not design their solutions around Bio-Medical Equipment Technician training. Innovations in the surgical field that best enable better care for women’s reproductive health submitted by The United Nations Population Fund Innovations that address capacity building, technical assistance or processes in the surgical field that best enables better care for women’s reproductive health. It’s estimated that 225 million women and girls have unmet contraceptive needs globally. Meeting this needs could prevent 36 million abortions, 70,000 maternal deaths and 52 million unintended pregnancies. Increase in demand for long acting reversible contraceptives (Uterine and Contraceptive implants) among younger women is growing. However the process of hormonal implant administration involves a minor surgical procedure. This skill required is not common among health workers in the developing world. How can administration of hormonal implants be improved to enable more health providers to effectively train and or safely administer them? Assessing Intra-abdominal Pressure We need an objective way to assess intra-abdominal pressure. For example, this can help decide whether the abdomen can be closed or not, such as when deciding on primary closure versus silo for gastroschisis. Cost-of-Service Calculator How can we help patients and their providers compare costs of alternative treatments? Is there a workable way to develop an algorithm which would enable patients in poor-resource settings to receive reasonable and affordable treatment? We need some type of “Cost-of-Service-Calculator”, which would include a choice of technology, capacity to pay, effectiveness of treatment regimes, and relative convenience for the users. Accessing Test Results It is difficult to access to diagnostic test results in remote surgical centers. Can we develop a way to reliably obtain these? Laparoscopic Surgery Training Training new surgeons in laparoscopic surgery techniques is often difficult. We need an affordable, high quality simulator that would give young surgeons experience and confidence and enable experienced surgeons to train with new techniques without exposing patients to risks. Auto-Transfusions in Organ Abdominal Traumas There is a need for a better alternative to straining blood through gauze, for patients experiencing abdominal traumas, such as splenic/liver injuries and ruptured ectopic pregnancies. The usual method adopted in low-resource settings involves using a few layers of autoclaved gauze to filter blood and clots from the peritoneal cavity into sterile containers, and then inject these into blood bags for transfusion in patients with ruptured ectopics or other conditions where there is 'clean' blood inside the body. While this method is inexpensive and effective, it can be cumbersome, as the blood has to be scooped out of the peritoneal cavity, handed over to another person to filter and then filled into a blood bag before it can be transfused. All of this has to be done quickly to avoid further bleeding. It is also possible for loose strands of gauze material to pass into the filtered blood container. An ideal alternative would be a sterile device that combined a funnel with a filtering layer and a detachable collection container that had an anti-coagulant that could be removed and connected to a blood-transfusion device. The team innovating this type of instrument will need to figure out how to fit the parts together, get the right mix of components, make it leak-proof, sterile and cost-effective. Safe, Effective Instrument Removal Mops and instruments that are left behind in body cavities before closure cause serious complications and often require multiple surgeries. We need to develop a warning system to alert surgeons of equipment left behind. Alternatives for Blood-Oxygen Transport There is a need for providing tactile sensation to a consultant who is giving tele-consultations. Alternative Power Sources in Operating Rooms Operating rooms need reliable power to function properly. We need to develop a mechanism to employ solar and alternative power sources to ensure safe and effective nighttime operations, instrument sterilization, lighting, suction, and anesthesia. Vertebral Level Identification It's often difficult to identify inter vertebral space l3-l4 or l4-l5 especially in fat people and non-cooperative patients leading to frequent piercing. ERM System for surgical patients There is a lack of computerized tools in Ugandan Hospitals to electronically manage patients surgical information, as well as locating the nearest health institutions that carry out surgical practices. This has led to many deaths mostly for the cases where we have had accidents that need surgery. Locally Developed Underwater Seal Chest Drainage Underwater seal chest drains are a system that allows drainage of the pleural space using an airtight system to maintain subatmospheric intrapleural pressure in which the underwater seal acts a one-way valve. Unfortunately, this improved system is not readily available, can we develop an alternative solutions? Efficient Suction Mechanism Surgeons in low-resource settings need an efficient suction mechanism for use on surgery wards. Sterile Blood/Fluid Warming There is a need for an efficient system for warming fluid or blood, without contamination, during surgical resuscitation. Lighting in Surgical Operations Surgery wards in LMICs need portable and affordable lighting systems for use during surgical operations. Improving Microscopic Ear Examinations, Evaluations, and hearing aids Microscopic examination of the ears in clinics is cumbersome, due to the need to reset equipment for each ear. The process takes too much time and effort, so there is a need for more efficient tools for surgeons. In addition, hearing tests are not readily available in clinic and machines are not robust. Hearing aids are very expensive and difficult to obtain and fit. Airway Forceps for Improving Foreign Body Removal Many surgical wards lack adequate forceps for easy and safe removal of oddly shaped and smooth foreign bodies from the airway. Pressure Sore Management When a very ill patient is admitted or operated upon, they are prone to developing pressure sores. The sores are a nightmare given the high caloric demand they pose on the already stretched resources. Finding a dressing, bedding or other approaches that can reduce the risk of developing pressure sores or enhance the management when the sores develop is still a challenge. Antibiotics for Wounds Wound infections have a serious impact on the morbidity and mortality of surgical patients. A number of factors contribute to wound infections, however, microorganisms and bacteria are two major causes. Wound infections can lead to wound sepsis, systemic sepsis and delayed healing, prologing a patient's stay in the hospital, which is associated with higher expenses and a higher risk of hospital-acquired infections. Doctors and surgeons could benefit from a solution that could help doctors and surgeons determine the appropriate antibiotics for patients with wounds, including being able to test their sensitivity to these treatments. Potassium Blood-Level Management Patients who have elevated levels of potassium before, during or after and surgery face an increased risk of cardiac arrest. There is a need for an innovation or device that can monitor potassium blood levels. Bandage/Gauze Care for Wound Patients Burns patients are subjected to numerous wound-dressing changes, which are often uncomfortable for the patient, and require significant time/staff for the hospital. Since the bandages must be replaced and changed multiple times a day, it is also an expense to keep buying the gauzes. It would be very helpful to have create a new type of bandage or gauze that could be easily wrapped and unwrapped around the affected area, and that could be sterilized and re-used. Surgical Chest Tubes Many hospitals lack chest tubes for surgeries. If excess chest fluids are not drained from the patient, the patient will develop breathing problems, which can lead to death. There is a need for reusable tubes and/or multipurpose tubes to help alleviate this issue. Follow-up Communication and Care Providers need a better way to stay in touch and communicated with patients after surgery. Often, it becomes very difficult for doctors to monitor patients who live in poor, remote areas, especially if they do not have access to proper nutrition and healing treatments. Click here to read mentor and speaker biographies! Innovations focused on addressing delays in seeking care, reaching care, and receiving care. Innovations that focus on solving the problem of out-of-service medical equipment that causes delays in surgery. 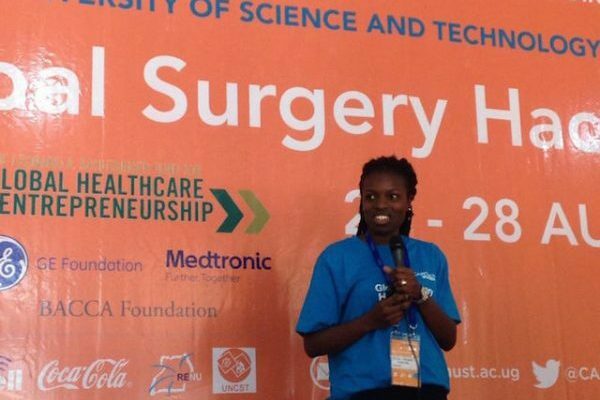 *Babson, Safe Surgery 2020, and UNFPA will also be offering post-hack-a-thon awards for innovations. Details will be announced at the end of the event. Click here for the hack-a-thon FAQ guide! Click here to see the judging criteria!